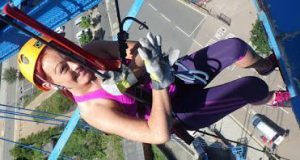 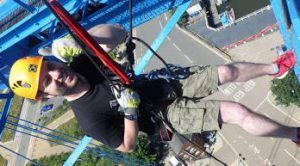 ESPA’s brave staff abseil from the Transporter Bridge, Middlesbrough. 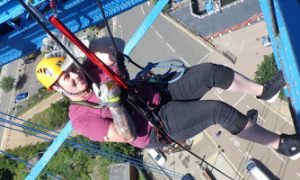 Some of our very brave staff and family members abseiled down the Transporter Bridge on Sunday 24th June to raise funds for interactive equipment at Ware Street, Stockton. 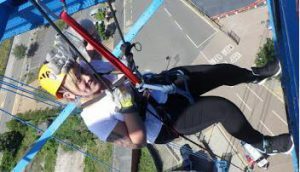 Here are some photos of Emily, Tom, Charlette, Ruth, Michelle and Lucy mid abseil!! 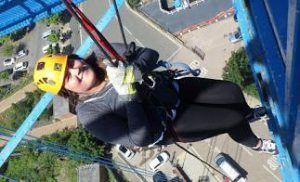 Well done everyone and thank you for making the day such a huge success.